If you’re not willing to spend money to secure money, you don’t have enough money worth securing in the first place. A Ledger Nano S costs about $100. 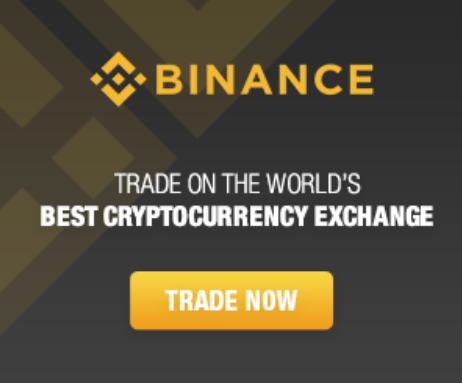 If you have less than $1000 to secure then it’s not worth it. A smartphone software wallet is better in that case. 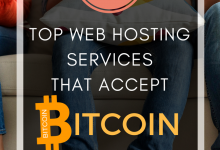 Security should be a very important thing to you if you are serious about Bitcoin and cryptocurrency investment. 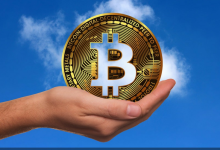 The rise in cryptocurrencies especially last year has led to an increased attention in the crypto space, and some of that attention comes with relative risks from scammers and fraudsters. 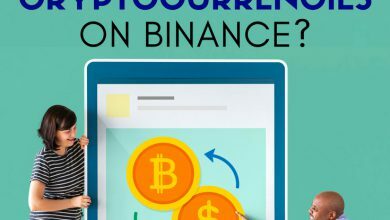 The crypto space is witnessing a constant surge in phishing websites, malwares, hacking attempts and other ill activities with the sole purpose of stealing your money. It is therefore wise for you to beef up your security in order to prevent any carelessness that might get your funds fstolen. One of the best ways to protect your cryptocurrencies is by storing them in hardware wallets. They are special wallets that store your private keys in a secure device. The private keys are stored in a protected area of a micro-controller, eliminating attack vectors that result from being connected to the internet. 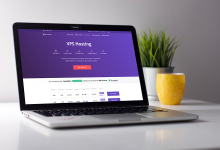 These hardware wallets are also known as Cold Wallets and has long been the industry wide standard for keeping your crypto funds safe while giving you a thumb-drive like convenience. 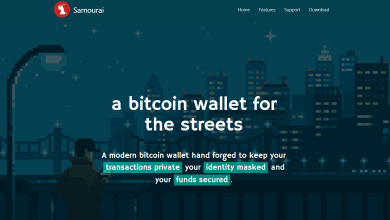 One of the best and most popular hardware wallets currently available in the market. Let’s examine how this hardware wallet gets setup. After receiving your Ledger Nano S hardware wallet, you will notice that it doesn’t come with any so called tamper proof seal or stickers. Unlike the Trezor, your ledger doesn’t come with a standard security seal because you have to initialize your device before even using it. Since your Ledger has to be connected to the Ledger Application upon setting up, your device will be checked to determine its authenticity. If your device is recognised by the application, it means it is a genuine ledger product. 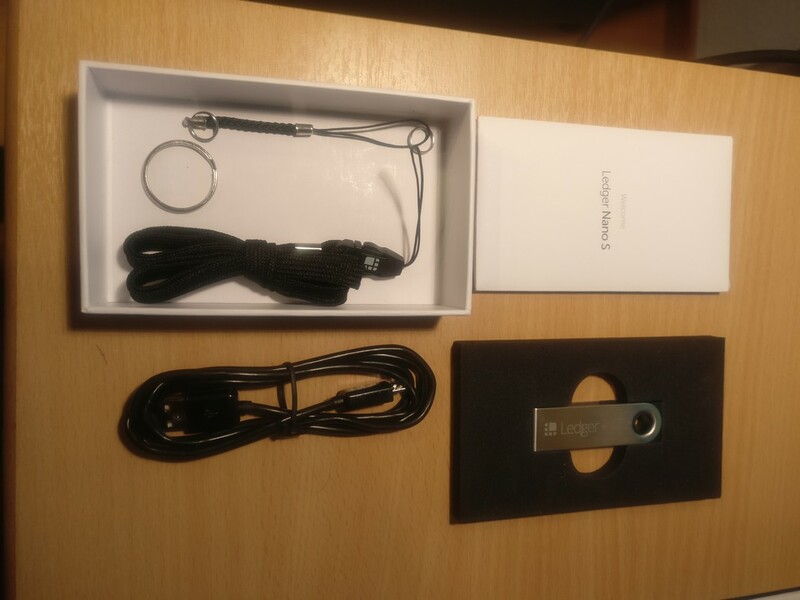 Once you open your box, the materials you will see inside include; ledger, a USB cable, a key chain, an instruction card, a recovery card, a lanyard, and a pair of Ledger Nano S Wallets. Once you remove the top cover where the device is placed, the booklet, the USB cable, the lanyard, and the keychain are placed beneath. Inside, an envelope is enclosed with a blank checklist for writing down and storing your recovery phrase of your device. After unboxing and verifying the contents of your hardware wallet, the next step is to set up your wallet. To do that, get to your computer and connect your Ledger device by using the attached USB cord. After connecting it to your computer, the first thing you have to do is to create a pin or a password for your device. Your ledger will allow you to set a minimum of 4 digits. And you will be able to setup up to as many as 8 digits. Ensure that you memorize this code or write it down somewhere easily accessible and safe. For every operation to be carried out on that device, the pin will be used and without it, you can’t conduct any operation. After setting up your pin, the device will give you a 24-word recovery code, write it down. This phrases are only displayed ONCE and cannot be recovered should you lose them. 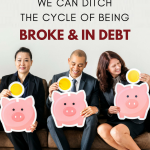 This is the recovery phrase and it is the master key to your personal bank vault. It gives you access to ALL your cryptocurrencies even if your device break, gets lost or stolen. 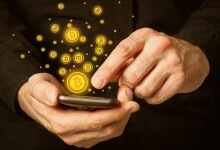 If you lose physical access to your device and you didn’t set up the recovery phrase, then you will permanently lose your cryptocurrencies. 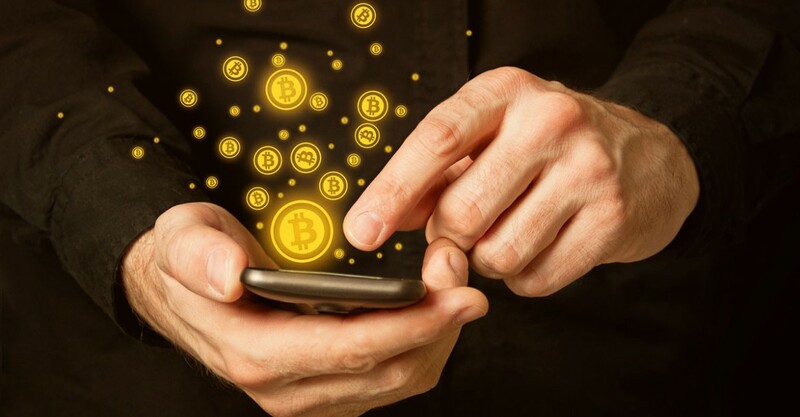 The recovery phase is used to generate everything in your wallet such as the wallet initialization and generation of private keys. 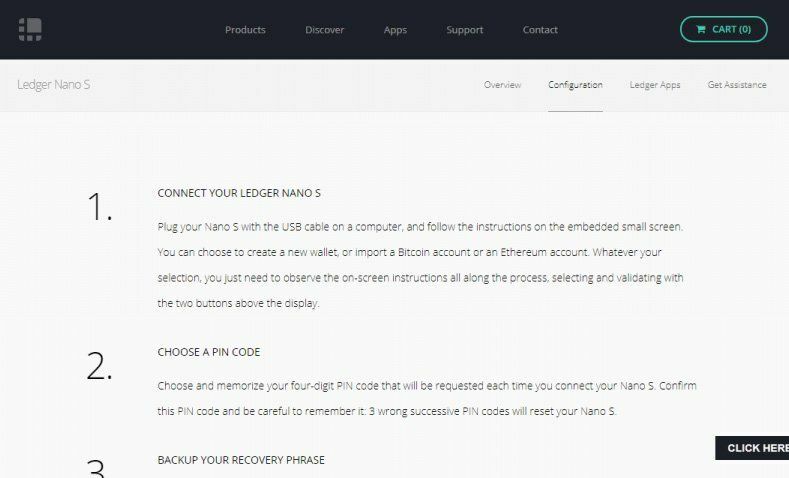 After writing down the recovery words, Ledger Nano S will ask you to confirm two of those words to finalize the setup process. A message displaying “Your Device is Now Ready” will appear once you are done. WARNING: never use a Ledger device that has already been initialized. You must choose your PIN code and write down your 24 words by yourself. 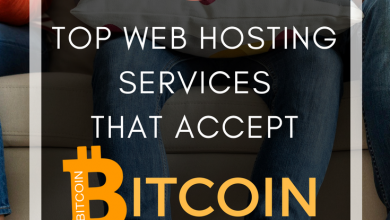 In order to manage your Bitcoins, you will need to install the Chrome Web Store extension. 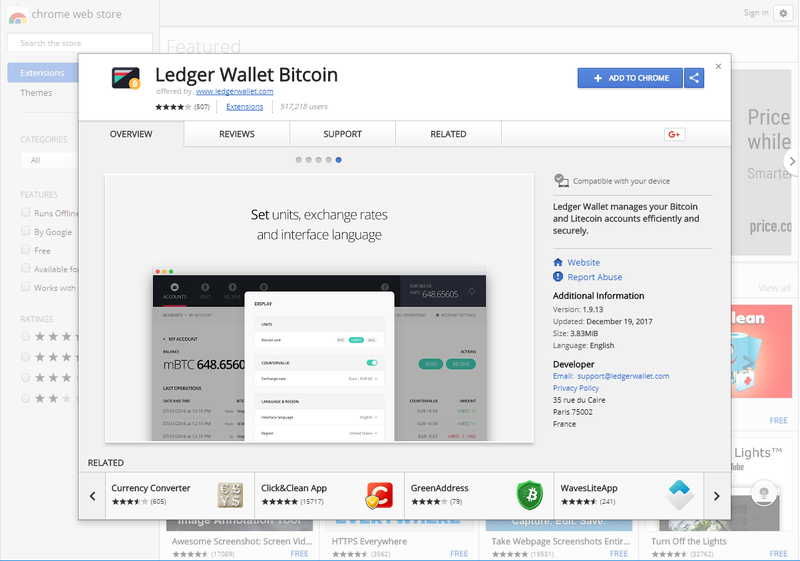 The Ledger utilizes several other chrome store apps that can be installed on your computer, making it easier for you to transact with your Ledger. You could first install the “Ledger Manager” app. This is used to install different applications (Bitcoin, Litecoin, Ethereum, etc.) that you wish to be on your device. 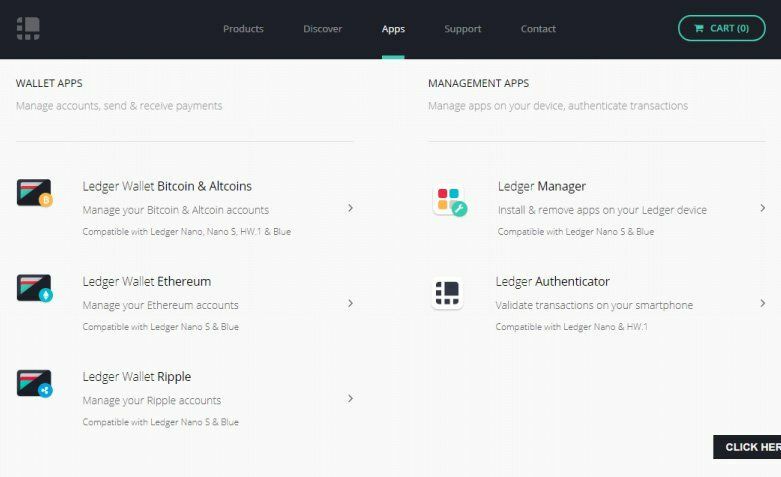 Your Ledger Nano S is designed to support five different apps at the same time if your firmware is 1.3 and below. However the latest firmware 1.4 now supports up to 18 cryptocurrency installations. It is highly advisable for you to update as soon as possible using this official guide. Amongst the hardware wallets, Ledger supports the highest number of cryptocurrencies. 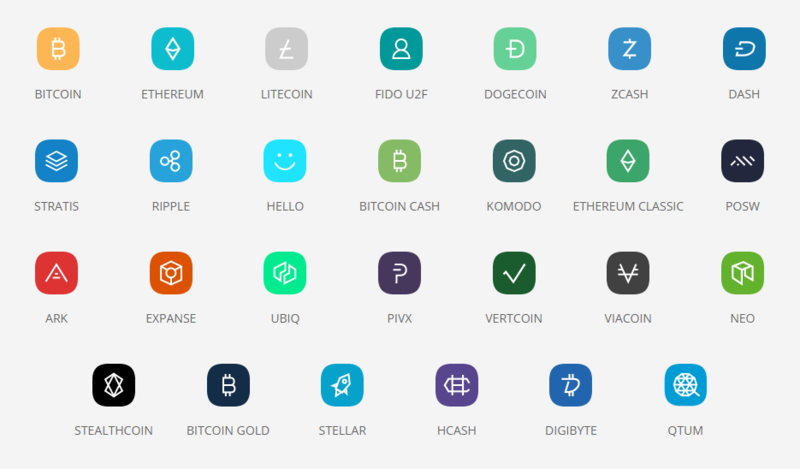 At the moment, Ledger supports the following cryptos; BTC, BCH, ETH, Ethereum ERC-20 Tokens, BTG, ETC, DOGE, LTC, ZEC. 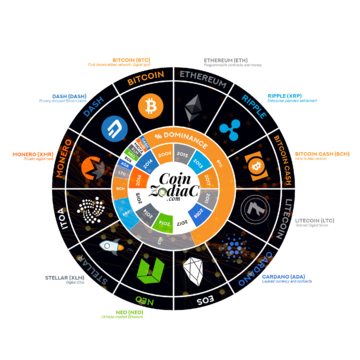 XRP, STRAT, VTC, VIA, NEO, EXP, ARK, KMD, UBQ, XLM, HSR, XST, DGB, PIVX, and QTUM. Right click on the icon and then “Create Shortcuts” to pin it on your Windows or Taskbar. Now whenever you connect your device to your computer, you can click on the icon and a window will pop up asking you enter your pin on the ledger. Segwit on the other hand has fractionally cheaper transaction fees, and has addresses with the number “3” or “bc1”. You can now send, receive and create new accounts on the Bitcoin chrome application which reflects the amount of cryptocurrency funds you have on your device. The Ledger Nano S doesn’t display your coin balance on its device screen. You can only see how much when you connect to your computer and open the Chrome Bitcoin Ledger Application. 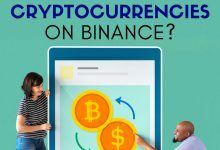 Ethereum isn’t really the kind of cryptocurrency for Hodling, but the value of the coin will increase in the long term because of the other ICOs and tokens being built on top of the network. It will keep your Ether and private keys safe from any hackers. By using MyEtherWallet together with your Ledger it allows you to conveniently manage, send and receive any other ERC-20 tokens built on top of the Ethereum network. 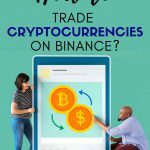 That is if you want to speculate new ICOs and tokens or trade daily. To use it, go to the myetherwallet (MEW) site and search for the Send Ether & Tokens. 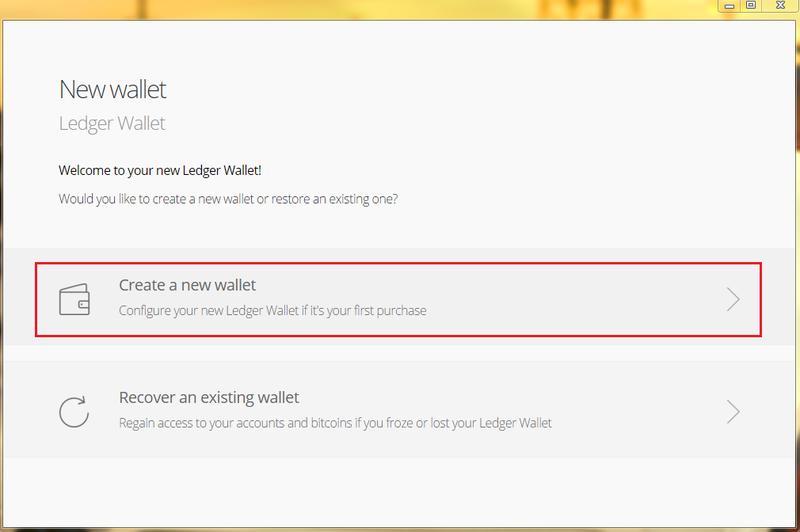 Click the link and select the “Connect to Ledger Wallet” option that pops out. Choose the wallet options that are made available afterward and unblock your wallet. This will give you access to it. Once you have accessed the wallet, you can send and also receive ether and other ethereum tokens that you decide to store in your device. 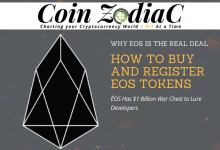 Read the official guide here. 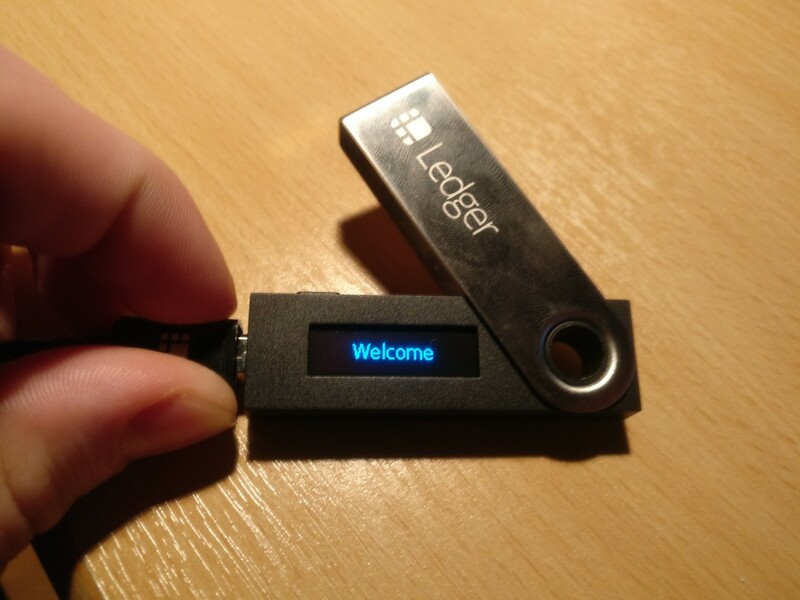 The ledger hardware wallet doesn’t have an internal power source, thus you will need to connect it to your computer using the provided USB cable in order to use it. Your ledger wallet will have a small LCD display with two buttons. The buttons are there to make navigation and selection very easy for you. You can check out the menu items using either of the two buttons. To select an item, press both the left and right buttons simultaneously. 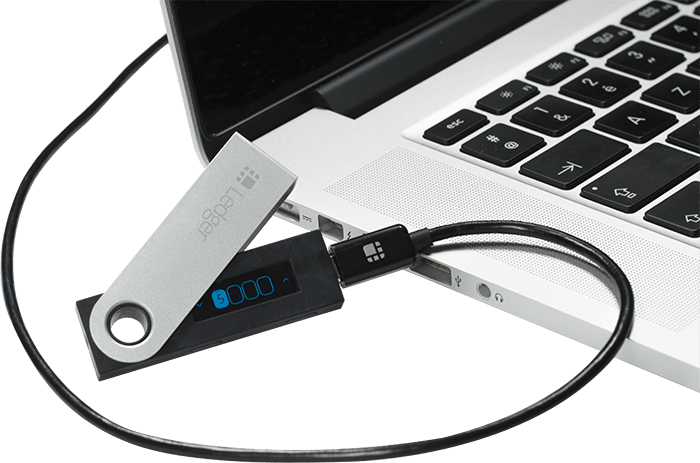 The Ledger nano s wallet is a small and pen-drive like device. Imagine the possibilities of carrying this portable bank account anywhere in the world. If you memorize the 24-word seed phrase, you could even cross different countries with millions of dollars worth of Bitcoins in your head without the need to lug around suitcases of worthless paper. The two buttons on the device make it very easy for beginners to navigate. In terms of security, the Ledger Nano S ranks as the best place for you to start storing your digital currencies. However you will still have to take special care to protect your device from getting stolen and also avoid saving the seed phrases on your computer. You never know that it could be potentially infected. To access your hardware wallet, you will require a computer. You have to plug the wallet into a computer using the USB cable provided. 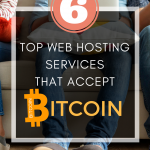 In terms of convenience, this method of accessing your wallet isn’t all that convenient since you can’t access it in a place that doesn’t have internet access. However, it is important to note that the ledger wasn’t designed to be all-round convenient, but rather to keep your coins safe at all times. The Ledger nano s currently goes for around $99. This makes it cheap when compared to its competitor Trezor which is being sold for around $110. Ledger is a French company that was established in 2015. 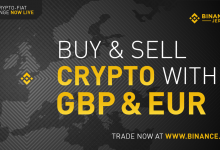 The company has since then risen to become one of the leading companies in the crypto space. Ledger has an excellent customer support and has been stable and consistent in their service delivery over the past few years. When it comes to hardware wallets, Ledger Nano S is your BEST BET out there. I rarely encountered any problems using this device and the ease of setting up is another added advantage for newcomers to the crypto space. The user interface is neatly designed, making it easy to navigate. It supports the most cryptocurrencies out there and its integration with MyEtherWallet means you can store hundreds of other ERC-20 tokens. Overall, the Ledger Nano S wallet gets a 9/10 from me and it even comes highly recommended by Most Crypto Experts. It is quickly becoming the go to standard for hardware wallets. Ledger Nano S: The ledger nano s supports a huge amount of cryptocurrencies, beyond just Bitcoin and Ethereum. 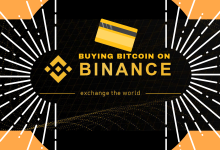 It supports numerous altcoins and all the ERC-20 tokens can be stored on this wallet. 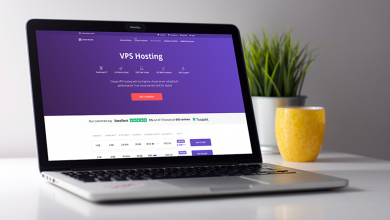 It is perfect for those who are looking to store a myriad of cryptocurrencies. TREZOR: This wallet has expanded beyond its initial bitcoin support and now stores other altcoins like BTC, Dash, Litecoin, Namecoin, and ZCash. In terms of numbers, Trezor falls behind Ledger though it is expected that they will be adding more currencies over time. However many users are reportedly feeling left behind. Ledger Nano S: in terms of security, no hardware wallet can beat Ledger. A 4 – 8 digit pin is required before any transactions can be made on this wallet. Entering the code incorrectly three times in a row will automatically wipe out all the data stored on your device keeping your coins safe. You can recover access with your seed phrase. Their recovery phrase is excellent since it allows you to back up and recover your data even if you lose your device. It also has a passphrase feature which enables users to add a custom text to their 24 words recover phrase. TREZOR: Trezor just like Ledger offers excellent security to its users. They have a unique pin-entering system which the users don’t enter the pin by themselves but rather pick the correct pin from a selection of random numbers displayed during login. This means that your Trezor account cannot be compromised even if your computer is. Similar to Ledger, Trezor also has a 24-word seed which means you can recover your wallet in case you lose it or it gets destroyed. Ledger Nano S: complaints are usually made on their website. They have a very comprehensive FAQ section that includes user guides, and information. They don’t have an active forum where you can interact with other users or with their support team. To solve a problem, you will have to submit a request for assistance by filling a short form available on their website. Ledger has received an additional $75 million dollars of funding to dominate the market they’re already ahead. TREZOR: in terms of customer support, Trezor is gradually getting left behind. Ledger Nano S: One of the vital features of Ledger is its ease of use. 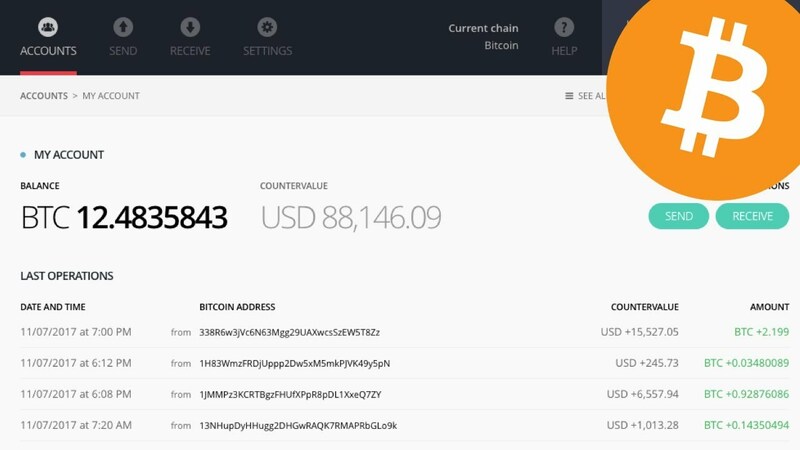 Sending cryptos to and from your ledger wallet is very easy and straightforward. First, you connect the wallet to your computer via the provided USB cable. Open the ledger application on your laptop and choose the crypto you wish to send or receive. 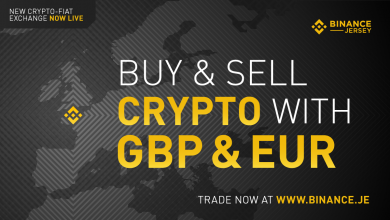 Click the receive button and copy the wallet address provided. Paste the address in the sending source and you are good to go. The same process goes for sending. Click on send, paste the receiver address and the amount to be sent, and you are good to go. However compared to Trezor, it has an inferior User Experience (UX) because of the limited screen interface. TREZOR: Trezor’s transaction method is simple as well. Go to your Trezor account and select one of the addresses displayed there. Send the coins to the picked address and if the Trezor device is plugged in, the funds will be transferred automatically. To send cryptos, go to your Trezor wallet in your browser and click on the send page. Insert the receiver’s address and the number of coins you wish to send. Hit the send button after that. You can also use the QR code to send coins, the same as Ledger. Trezor is reportedly releasing a touchscreen enabled device for its new model. This would give users a better hands on experience. Overall, Ledger has a better style while it also has a better UI, making it perfect for both beginners and veterans. 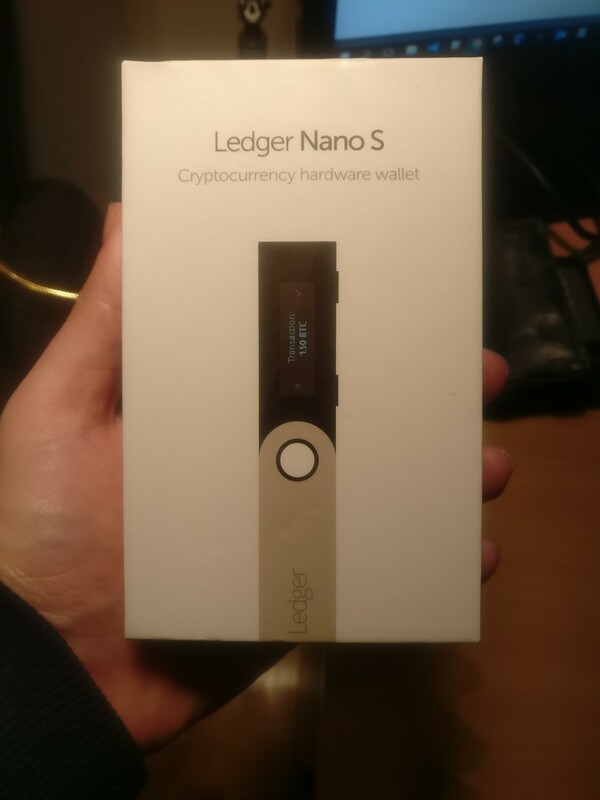 If you are looking for a wallet at a great price that is very easy to use with maximum security and supports more cryptocurrencies, then Ledger Nano S is the best option for you. They are both great hardware devices but Ledger Nano S has an edge in most aspects. Hardware wallets are still far more secure than any other solution for the vast majority of users. The security vulnerabilities discovered are far less of a problem than the complete insecurity of the average general purpose desktop/laptop. Buy a hardware wallet. Backup the seed. Use the hardware wallet. I will attest to the hardware wallet. 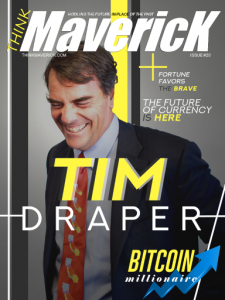 I put my initial 927 BTC on a paper wallet way back in 2010 and it went through the wash. My advice? GET A HARDWARE WALLET. I use ledger nano S and it is great , the firt time you set it up it generates 24 words phrase that you can type and save it in a safe place. The next step is that i only conect the HW when i have to do a transaction. It feels damn good to have my savings outside banks control. Just spend $70 on a ledger nano s and be safe.